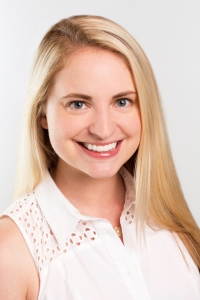 Megan Dorward ’07 works as a client lead for political and advocacy advertisers at Twitter in Washington, D.C. She graduated from William & Mary with degrees in American studies, marketing and French. During her time on campus, Megan was a freshman R.A. in Barrett Hall, served two terms as the secretary of student life in the Student Assembly, and was a member of the Undergraduate Judicial Council. She was a Tribe cheerleader and remains an indefatigable fan of the Green & Gold. Dorward has served on the College’s Board of Directors for Annual Giving and co-chaired her 5th Year Reunion Class Gift Committee, which set a record, albeit short-lived, for both class participation and dollars pledged. In 2013, Megan was honored to receive the Baltimore-Annapolis Award for outstanding efforts and contributions to William & Mary. "The College has given me so much — opportunities both inside and outside the classroom during my time as a student, a professional network as an alumna, and a guiding set of principles which have served me as a compass through life. I feel it is not just a responsibility, but a privilege to give back in both time and treasure to the institution that has given me so much."